Grab your broomstick and head West, for a spooky adventure with The Games Company’s Wicked Witch of the West Slot. Full of bright graphics, 3D animations and quirky sound effects, this slot will take you on a magical journey with its great wins and features including Free Spins, Bubbling Cauldron Wild and Spellbook Scatter symbols. 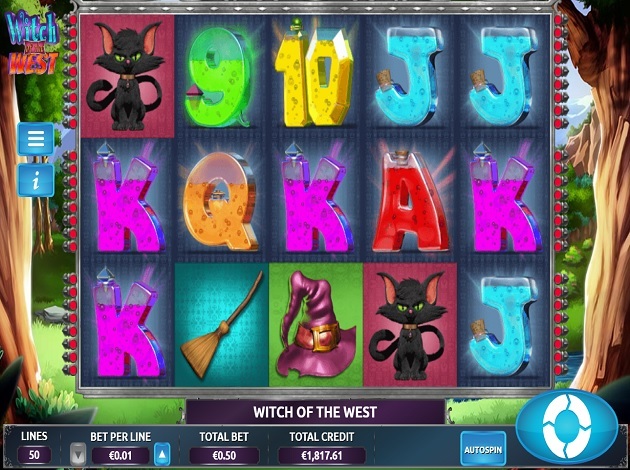 Witch of the West is a 5-reel, 50-payline slot with an awesome wicked witch theme. You can check out the demo version or play for real money. The game has an RTP of 96.50%. You can play Witch of the West with bets starting from € 0.5. You may find it strange that for a slot called the Witch of the West, the reels do not have a symbol which represents the witch. Instead, the witch appears randomly after any spin by flying across the screen on her broomstick. If you see the witch fly across the reels it is very good news, she will then convert reels 2, 3 and 4 into colossal symbols. This means the middle reels will convert into one large symbol. Each reel position within the 9x9 grid acts as an individual symbol of the same type. So, you should you find a matching symbol to the large colossal symbol on the first and fifth reels of the game, they will not only form a five in a row win but create multiple line wins at once for the chance of some colossal wins! The games wild symbol is a bubbling cauldron; this will replace every other symbol on the reels except the scatter symbol. This will reward you with a line bet multiplier. The wild symbol appears only on reels 1, 2, 3 and 4. If you find three or more spell book scatter symbols on the reels, you can get up to 20 free spins. The other lucrative symbols which you can get you a win include 9,10,J,K,Q,A, the black cat, purple hat, bat, and the broomstick. The broomstick provides the highest prize, if you find three broomsticks on the reels you will get up to 50x your stake, 4 broomsticks will get you 75x and 5 will get you an impressive 250x your original bet! With 50 pay lines in this slot, it is fair to say there are many opportunities to win. All of the 50 pay lines are fixed, so before you spin, you will have to select your bet per line value and then check the corresponding Total Bet. Bets per line start at 0.10 making for a minimum total bet of 5 coins and they go up to 50 coins to make a maximum total bet of 2,500. All of the wins in the Witch of the West are based on collecting a minimum of three identical symbols and are paid as multipliers depending on the symbol collected. The letters and number symbols are the lowest paying, with the broomstick being the best. Getting three number 9’s on the slot will multiply your wager by 4, four 9’s x7 and five 9’s in a row would multiply your stake by 10. The more desirable witch related symbols provide greater returns. For example, three hats equate to 25x, four hats 35x, and five hats 75x. 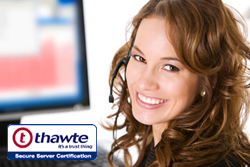 Positively all coinciding wins on different pay lines are added to your total. At the bottom of the play screen, the ‘Total Credit’’ meter allows you to easily identify your winnings. Judging by the name of this slot, if you are expecting a dark ghoulish slot with scary witches then you will be surprised when you give the reels a spin. The witch here is a very kind and friendly 3D cartoon character. The reels letter symbols are made of bright neon colours in magic potion jars, set upon a backdrop of a magical forest. The numbers and letters used are the standard playing card values such as 9, 10, J, Q, K and A. Keen slot fans will also notice the interface of the game is very similar to The Game Company’s previously successful slot, Two Tribes. The audio of the game is not constant, meaning you only hear a short spooky tune when the reels are spinning. When the Witch makes an appearance flying across the screen, the audio is interrupted by her cackling laughter. The Witch of the West is a creative novelty slot game by The Games Company which provides some pleasantly bright and fun graphics with its friendly leading witch character. It doesn’t take too long to understand how to play the game and you can get good wins from the colossal symbol feature and up to 20 free spins. If you are looking for something simple yet fun and entertaining, you definitely need to give the Witch of the West a try!